Bruschetta is one of my favourite starters of all time. I love how versatile it can be and how you can tailor it for each individual. For me, starters are my favourite part of a meal. I'm not your typical desert lover and I always opt for savoury over sweet. 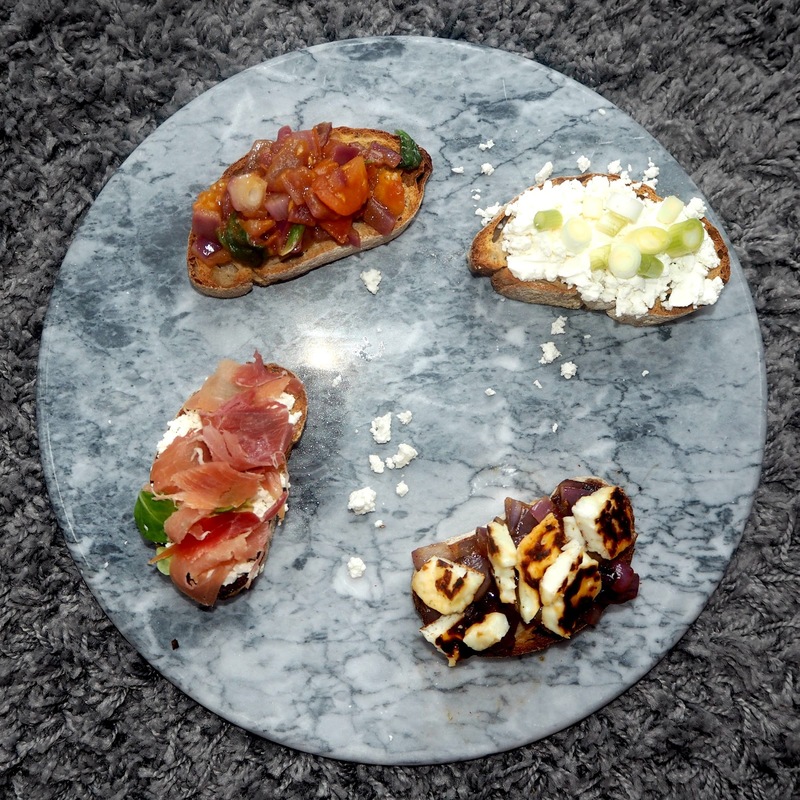 I love Italian food, it's probably my favourite cuisine actually and I love making bruschetta when I'm feeling peckish and fancy something filling yet healthy(ish). 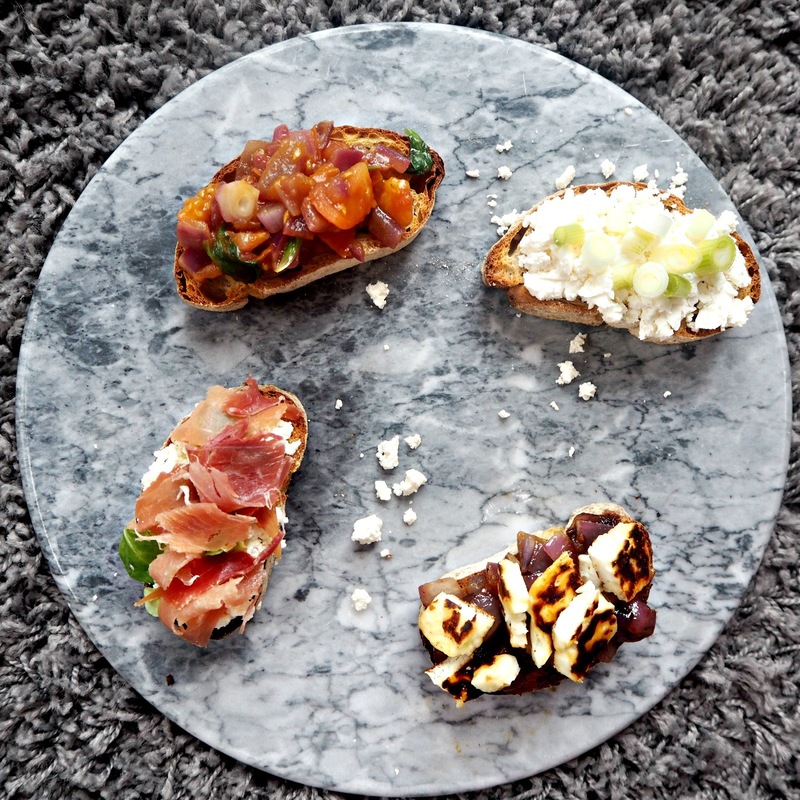 Today I'm going to share with you my recipes for bruschetta four ways. 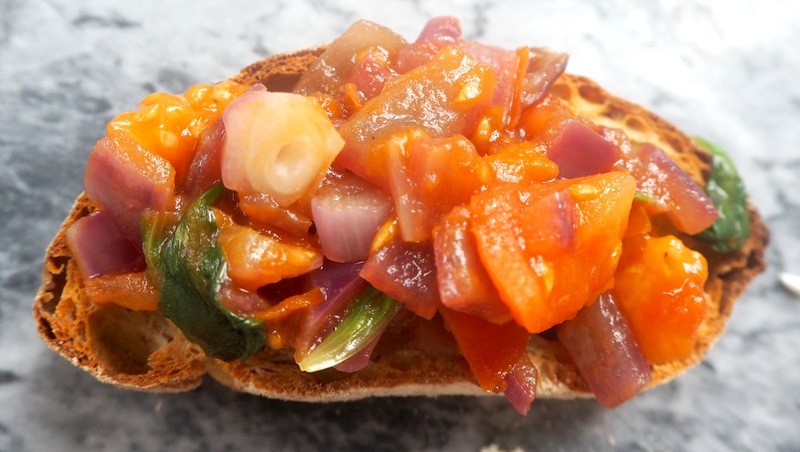 It's super simple to make the classic tomato and red onion bruschetta with balsamic glaze. All you need to do is dice some tomatoes and red onions and brown them in a frying pan for a couple of minutes. Remove them and add them to a bowl with some balsamic glaze and mix together. Then drizzle some olive oil onto the toasted baguette and add the toppings. 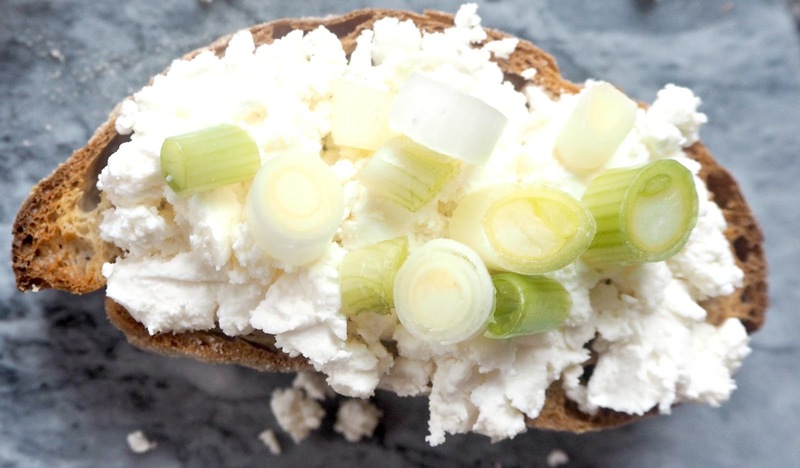 To make the feta and spring onion bruschetta all you need to do is cut up some feta cheese and whisk together in a bowl. Spread over the toasted baguette and spring with spring onion. It's as simple as that and tastes delicious too. This one is a bit different and some people may think that it won't taste very nice but if you like proscuittio, feta and spinach then you will love this. 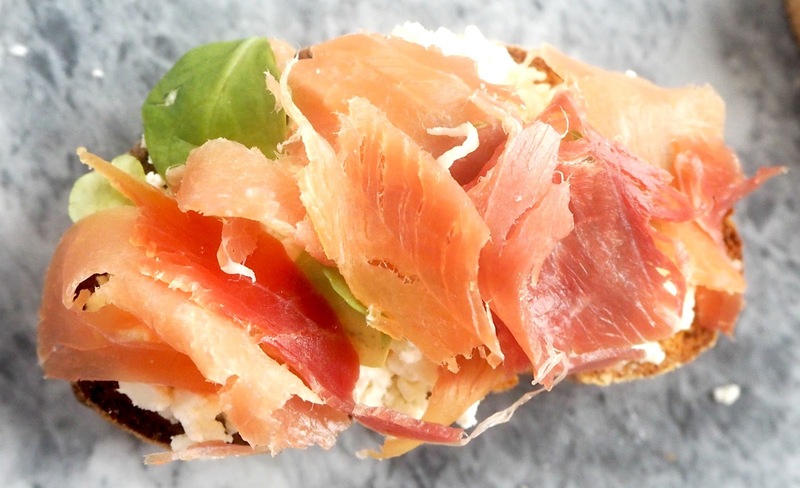 Whisk together the feta and spread onto the toasted baguette, then thinly chop the spinach and proscuittio. Spread the feta mixture onto the bread and top with the spinach and proscuittio before serving with some olive oil. This is by far my favourite variation. If you know me, you know I LOVE halloumi and I'm sold if there is anything with caramelised onions on it! All you need to do is caramelise your finely chopped red onion by heating them in a pan with some oil and adding sugar to help with the caramelisation process. Then cook your halloumi as desired (the best way is to grill it). 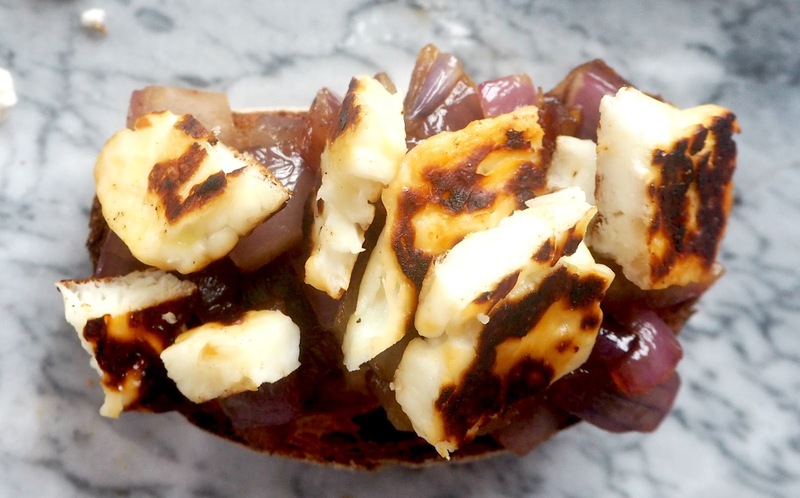 Add a layer of caramelised onion to the bread and top with sliced halloumi. Enjoy!! It's so easy to make and you can add any toppings you like, so be creative. Let me know if you come up with any new toppings as I'd love to try them out!